There was a time when we approached Interpol in search of the reflection of a certain kind of rock whose heyday we had missed. 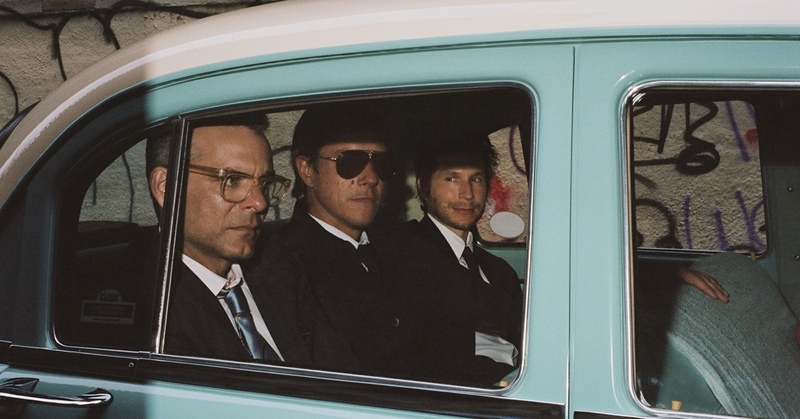 However, now, twenty years after their formation and fifteen years after the release of their seminal Turn On the Bright Lights, the trio formed by Paul Banks, Daniel Kessler and Sam Fogarino has already been around for longer and has a more extensive discography than most of the references they are compared with. In other words, Interpol have more than earned the right to sound like themselves, and the right for us to love them for those virtues which have flourished through the band’s perseverance, with the melodic flow and a lyrical universe of cryptic dandism that seems to write itself on the surface of a record. The alliance with Dave Fridmann on Marauder has brought out chromatisms that are unusual for the band, but have not in anyway diminished the flow of songs that, above all, when live, continue to have a great impact.